In another sign that Apple plans to make its third-generation iPad available for purchase very soon after it is announced this week, AppleInsider has been told that shipping company DHL is prepared to handle massive shipments from Apple. 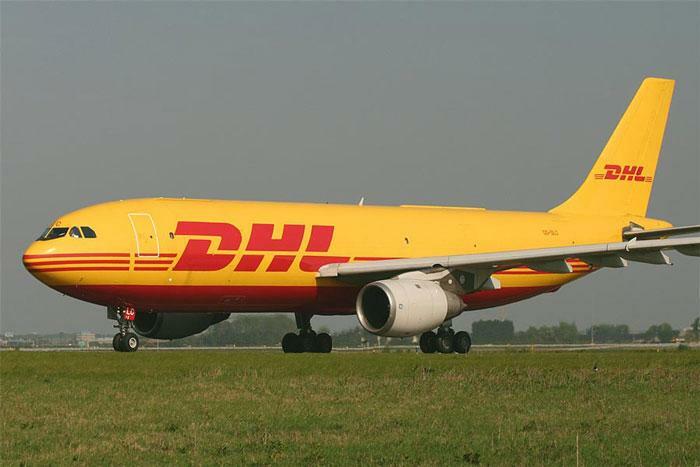 One person who contacted AppleInsider said that changes to the price of air cargo through DHL have signaled a major planned Apple shipment from China to the U.S. Evidence of this can be seen in a "big change" in shipping costs, as Apple has taken up freight capacity on flights from the Far East to America. The massive importation of goods is said to be taking up valuable space on the courier's international flights, which has driven shipping rates up this week considerably. The information was corroborated on Monday by MacRumors, who also spoke with sources in the shipping industry. They indicated that shipping rates rose as much as 20 percent in one week as Apple has taken up available capacity at "premium rates." Given the millions of iPads that Apple will undoubtedly have available at launch, it's likely that DHL is just one of the couriers Apple will use to ship its new iPad. When the first iPad debuted in 2010, Apple utilized UPS for Saturday deliveries, even though UPS does not offer standard delivery on weekends. Indications first arose more than a week ago that Apple's assembly partner, Foxconn, was already gearing up to ship Apple's third-generation iPad to the U.S. for an impending product launch. One shipping manifest that surfaced on a Chinese microblogging site showed major international charter flights originating from Chengdu International Airport carrying "Apple's latest products." All of Apple's rumored shipping activity suggests that the company is gearing up for a near-immediate launch of its third-generation iPad. The so-called "iPad 3" is expected to be unveiled at a media event this Wednesday in San Francisco. Last year Apple announced the iPad 2 on March 2, and the device became publicly available in the U.S. just over a week later on March 11. If Apple were to follow the same release pattern this year, the next iPad could go on sale on Friday, March 16. But there have been some indications that Apple could debut its next iPad even faster after this year's official unveiling. One report from last month suggested the "iPad 3" would go on sale in Germany on March 23, a full week earlier than the international launch would be if Apple followed last year's launch schedule.